The Poughkeepsie Healthy Black and Latino Coalition celebrated Black History Month with a Healthy Living Expo at the Catherine Street Community Center in Poughkeepsie, NY on Saturday, February 25, 2017. 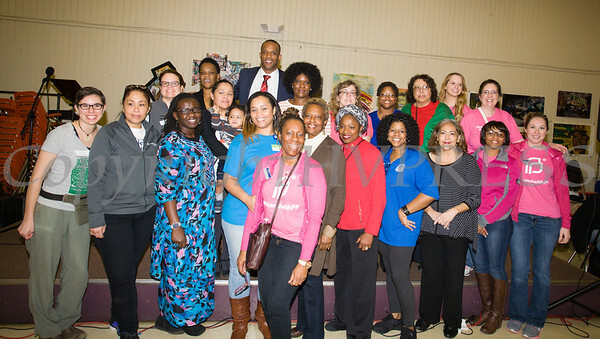 Members of the Poughkeepsie Healthy Black and Latino Coalition pose for a group photo as they celebrated Black History Month with a Healthy Living Expo at the Catherine Street Community Center in Poughkeepsie, NY on Saturday, February 25, 2017. Hudson Valley Press/CHUCK STEWART, JR.